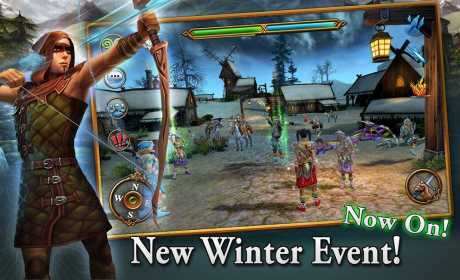 Join together with millions of other players in real-time from across the world and enjoy a truly stunning and unforgettable MMO adventure full of challenging quests and battles, heroic feats and new friendships! NEW WINTER EVENT! The Cranfir people have come down from the Dor-Keln Mountains to aid the people of Dal Riata against the forces of the evil god of the maelstrom, Taranis….. 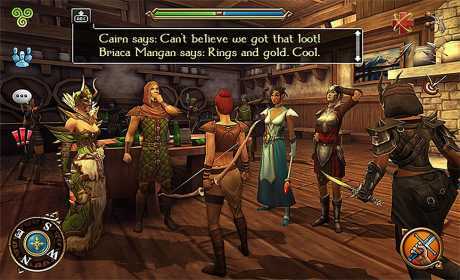 Become real Celtic Heroes, and lead your Clan to victory in this incredibly unique and epic MMORPG gaming experience on your mobile device with thousands of hours of game-play available! 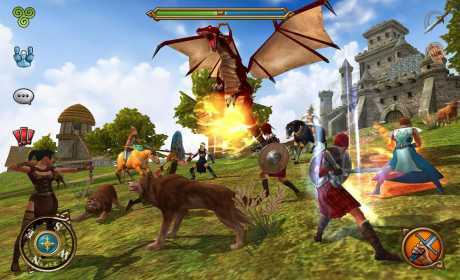 ★ Embark on a truly epic 3D MMORPG journey across the vast and beautiful Highlands. ★ Customise your character with unique features! ★ Develop and master your skills to match your own play-style whilst you build new friendships! ★ Join Clans together and compete against rivals in real-time, to defeat thousands of legendary enemies including ruthless invaders, brutal trolls and ferocious fire breathing dragons. ★ Chat and trade items in game with other Heroes and Clan mates as you progress on your travels to protect the mythical Dal Riata from threatening dark forces!